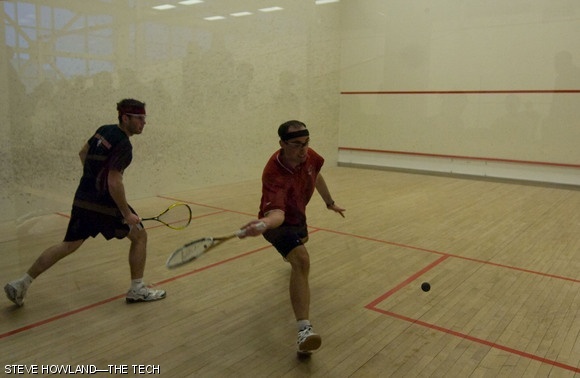 George W. Pratt ’10 stretches to return a deep shot from his Northeastern opponent. MIT faced off against Fordham University and Northeastern last Saturday, defeating Fordham 8-1 before falling to Northeastern 9-0. They were the final home matches for seniors and co-captains Balaji V. Sridhar ’09 and Saad Zaheer ’09.